Irene Cunliffe gathered together the following information about the organ. It is recorded in a cash book dating from 1881 that on the 25th July, 1891, Anneessens were paid £350 for a new organ and it cost £1.14s.0d. to convey it. The conveying was done by C. E. Coton (a firm which still exists). On the 7th June, 1894, it is recorded Anneessens & Sons were paid £2.0s.7d. for tuning. SWELL ORGAN: 56 NOTES – Bourdon, 16ft., 56 pipes; liablichgedacht, 8ft., 56 pipes; open diapason, 8ft., 56 pipes; gamba, 8ft., 56 pipes; voix celeate, 8ft., 44 pipes; flute, 4ft., 56 pipes; flageolette, 2ft., 56 pipes; horn, 8ft., 56 pipes; oboe, 8ft., 56 pipes; tremulant. PEDAL ORGAN: 30 NOTES – Large open diapason, 16ft., 30 pipes; small open diapason, 8ft., 30 pipes. The erection of a new organ at Mount Zion Chapel, Ovenden, is now completed, the workmen of Messrs. Anneessens & Sons of Belgium, the builders, tested the instrument yesterday. Only the painting and varnishing remains to be done. The organ is to be opened this Saturday evening when a recital is to be given by Mr. G. S. Melville, F.C.O., of Keighley. 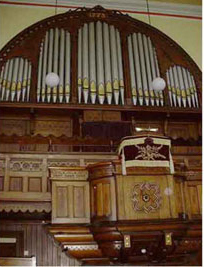 Organ opening at Mount Zion Chapel – on Saturday evening the new organ which has been erected at Mount Zion Chapel, was formally opened and a recital was given on the instrument by Mr. G. S. Melville, F.C.O., Keighley. This organ has been built by Messrs. Charles Anneessens and Son of Belgium and is stated to be a very fine rich toned one. There was a large attendance at the opening services on Saturday evening, the attendance including many local organists. Mr. Melville of Keighley played. 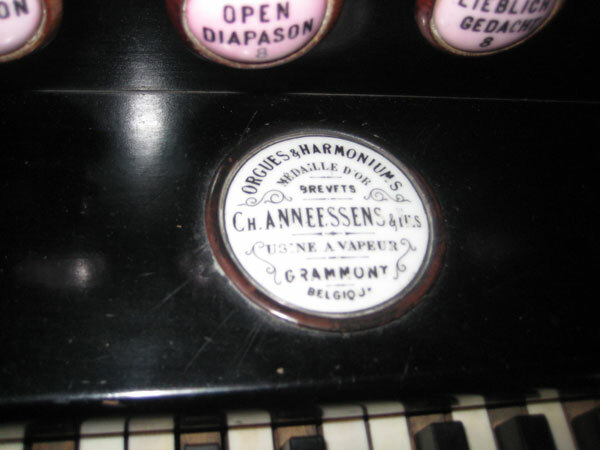 The present organ was built in 1892 (sic) by a Belgian firm, Charles Anneessens by name. It has long been considered for its size, a most delightful instrument both to play and hear. Mr. John Anneessens, son of Charles who was responsible for its installation, during World War I was a refugee at Lindley and visited Mount Zion to look at the old instrument. Father Charles Annessens of Lendelade, Belgium, visited Mount Zion Methodist Church, Ogden, yesterday to see and hear the organ which his grandfather built in 1891. With him was a friend Mon. Herman Roelstraete, a musician and composer, who played the organ. Recordings were made. The two men are making a tour of the country and visiting various towns where similar organs had been installed. They had come to Mount Zion from Rochdale and were on their way to Bradford. The family of Anneessens is still building organs they disclosed and Father Anneessen’s brother is engaged in this work. NB The newspapers were local ones. There was the Halifax Guardian which was a weekly paper and then the Halifax Courier which was daily. They eventually joined together and became the Halifax Courier and Guardian – hence the apparent discrepancy in the above two items. Mount Zion is locally referred to in the following geographical areas of the Halifax Borough – Bradshaw (within which Parish it rests), Ogden, Illingworth and Ovenden. 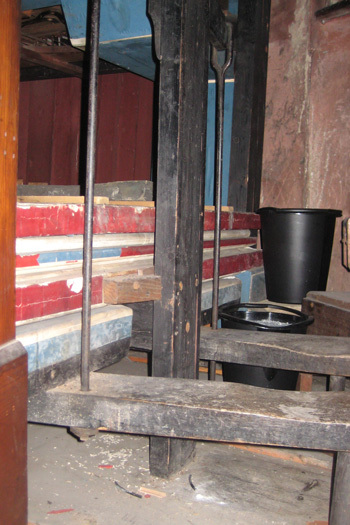 When the organ was built they did not use the usual metal weights on the bellows, etc. but used the local Yorkshire stone. The original organ blowing mechanism can still be seen. It is behind the organ case and is operated by foot pedals not a handle. The organ has been tuned and repaired and had an overhaul in the 1980s but it needs an enormous amount of money spending on it. It is suggested £100K would put it right. If we had that money I don’t think it should be spent on it for a couple of hours use each week – although as historian I would probably disagree but can see the morality behind what is being said. 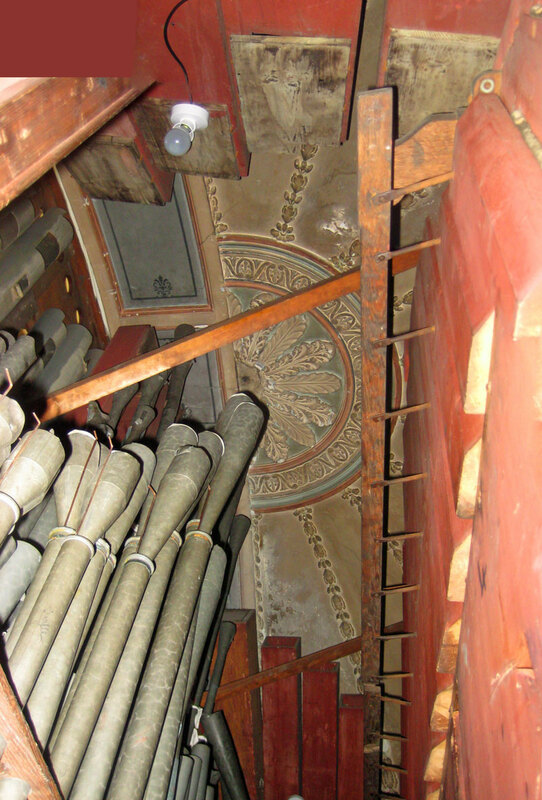 As a result of refurbishing the Chapel the organ was damaged due to overheating. The thermostat did not work on the heating system, unbeknown to us for a while, and it dried out the woodwork, etc. We had Mr. Malcolm Spink of Leeds recommended to us from the Connexion and he came and spent some time on it. 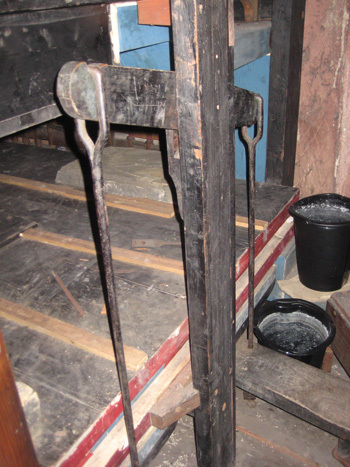 The main problem was that the air was not being contained as it should due to the leather bellows having lost their original size due to age and many minute holes caused by vermin. As a result of Mr. Spink’s investigations we have been able to put a booster on the blower and the organ is now playing well. We were given £3,000 as a legacy from a Mr. John Bradley and, as his father and grandfather had been organists at Mount Zion, we decided to spend the money on the organ. Mr. Bradley’s widow died last year and she also left £3,000 so again we are putting it to the organ. Mr. Spink now tunes the organ and each time he comes he spends the day at Mount Zion and does a bit more work each time. We are getting it into better condition and to us it sounds good although visiting organists say “it’s like driving a tank”! The organ is refurbished a little bit each year. 2010. The British Institute of Organ Studies awarded a certificate Grade 11, in recognition of it being a fine example of an instrument by Charles Annessens 1891, substantially in original condition. Originally the pulpit was in the apse where organ is now. The dome shaped ceiling was richly decorated. The following photograph gives a glimpse of what it was like.